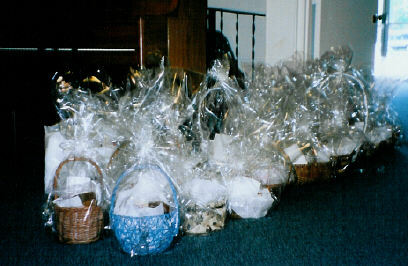 What are Blessing Baskets? Who delivers them? Who receives them? 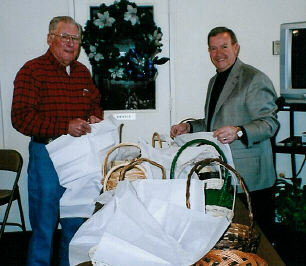 Those who have volunteered to assist with this project are mailed reminder cards about 1-2 weeks prior to the designated Blessing Basket Sunday. 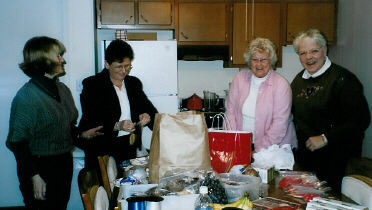 The volunteers are asked to bring in baked goods, fresh fruit, snacks, or baskets, and leave the items on the table in the lounge. 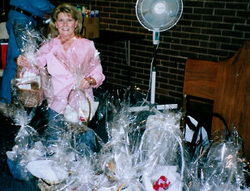 The volunteers meet to fill the baskets with the donated items, wrap, and deliver them to someone on the list. This generally takes about one to two hours to do. The more volunteers who help, the faster the process. 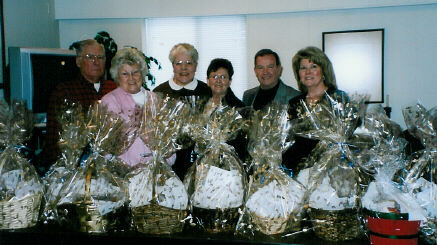 We have a wonderful group of volunteers who donate generously. We are in need of help delivering baskets, and would encourage anyone who may not choose to donate items, help us deliver the baskets. We deliver in the Portland area and occasionally, Heartland in Ionia, and Independence Village in Grand Ledge. This is a rewarding ministry and the delivery process is what you choose to make it. If the person that I'm delivering to indicates that they would like to visit, I will sit and 'chat' with them as time allows. If they are not in the mood for a visit then the Basket is delivered with a smile and off you go. There was one person that asked me to carry out their trash, because they could not get out of their chair. One very ill lady asked me to pray for her. The receiver of the Basket usually is so appreciative of the gift, that their joy is OUR Blessing.